Cover of the edition reviewed here; from the Faber and Faber website. 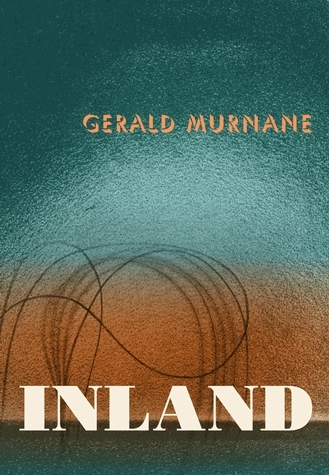 Dalkey Archive Press reissued Gerald Murnane’s novel Inland in 2012. It was first published in 1988. The edition I just finished reading is the Faber paperback published in 1990. 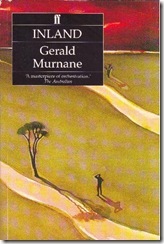 Murnane was born in Coburg, Melbourne in 1939, and has rarely left his home state in Australia. He briefly trained for the Catholic priesthood, and idiosyncratic, Irish-tainted Australian Catholicism – its doctrine, rituals, calendar and trappings – features centrally in this novel. 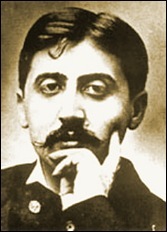 Although he relinquished his faith, acts of penance for and feelings of guilt about sexuality are a central theme in his fiction. His other preoccupations, he’s said, are topographical: ‘landscapes and geography, looking at things from a distance, desiring objects of love from far off’. There’s a telling, enigmatic line of Paul Eluard’s in the novel: ‘There is another world but it is in this one’. Timorous about travelling in the geographical, outer, ‘real’ world, Murnane turns inwards, to the existential hinterland of a narrator who is never named (‘I have kept my own name well away from these pages’, he says), and his thoughts, feelings and experiences, though meticulously recorded, are not, he insists, autobiographical. Nevertheless, what he produced in this novel is closer to fictionalised autobiographical essay than to the genre of novel. This is an existential mapping of the emotional and artistic associations that spring to the mind of his narrator when he contemplates images recollected in tranquillity. I will try for your sake, reader, to distinguish between what I see and what I remember and what I dream of myself seeing or remembering. He explains that he writes for his editor, a former lover possibly, who was born between the rivers Sio and Sarviz in the plains of Transdanubia, called the Puszta in Hungarian. She has gone to Tripp County, South Dakota, on the Great Plain of America, to a town called Ideal, ‘a little east of Dog Ear Creek’ (if these names are real they’re wonderfully evoked) and home of the Calvin O. Dahlberg Institute of Prairie Studies. Her name, he says, is Anne Kristaly, and she is married to Gunnar T. Gunnarsen. They are scientists at this Institute; she is the director of the Bureau for the Exchange of Data on Grasslands and Prairies. The man is the only person inside the circle of the horizon. He stares across the veldt or the steppes or the pampas and prepares to think of himself as quite alone. But he cannot think of himself and the grass around his knees and the clouds over his head and nothing more. He thinks of himself talking or writing to a young woman…He thinks of himself telling the young woman that he thinks of her telling him she thinks of a man such as himself whenever she sits at her desk and thinks of the grasslands of the world. When the narrator says he’s died and become a ghost, the novel’s central theme is revealed. Abruptly on page 45 a new narrator takes over. This one also lives between two rivers: the Hopkins and Russells Creek, but he relates memories (or are these dreams, too?) 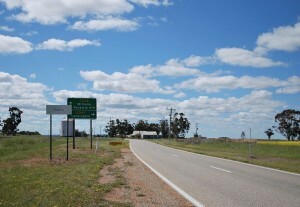 of himself aged twelve living in Bendigo and other places in poor suburbs of Melbourne. I am not sorry for you, reader, if you think of me as deceiving you. I can hardly forget the trick that you played on me. You allowed me to believe for a long time that I was writing to a young woman I called my editor. Safe in the depths of your glass-walled Institute, you even had me addressing you as reader and friend. Now you still read and I still write but neither of us will trust the other. Trust me or not, reader (he goes on), but whatever I write about myself having done, I will always write about places…I will match landscape with landscape. no thing in the world is one thing; that each thing in the world is two things at least, and probably many more than two things. I learned to find a queer pleasure in staring at a thing and dreaming of how many things it might be. This becomes a refrain through the rest of the novel: ‘Each place is more than one place’…’It becomes harder and harder to write about things dreamed of by the young man I had dreamed of becoming’…’You may well suspect me of having changed the names of streams only to confuse you…But if I do not write what I am about to write, reader, these pages will be endless’. The long second part of the novel deals with the narrator’s love for a ‘girl from Bendigo Street’. He calls her his girlfriend. It’s a poignant love-letter to her; it’s a reflection on the lost opportunity (in this sense it puts me in mind of Le Grand Meaulnes) and what J.M. Coetzee perceptively calls an elusive act of atonement. This part of the novel is more ambitious and engaging than the first, as it loops, repeats and teases. 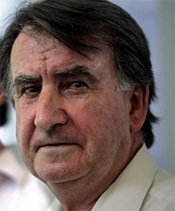 As he dreams and remembers his childhood days between the ‘Moonee Ponds and the Merri’, cycles of the Catholic calendar, naive tinkering with religious terminology (he merges ‘Paraclete’ with ‘parakeet’ in his mind), verses from the bible and the image of the fig tree turning green recur like hallucinations. ‘Each person is more than one person’. The other world, in other words, is a place that can only be seen or dreamed of by those people known to us as narrators of books or characters within books. If you or I, reader, happen to glimpse part of that world drifting past, as it were, it is because we have seen or dreamed of ourselves seeing for a moment as a narrator or a character in a book sees or dreams of seeing. Near the end of that music I heard a pause. The solemn themes of the music paused for a moment. Just before the clouds of music had drifted overall the sky and just before the four winds whistled and the last struggle began, I heard the pause of the summer that seemed nigh. For an absurd moment within that moment, the listener or the reader dares to suppose that this after all is the last theme: this and not the other is the end; the green has outlasted the grey; the grey has been covered over at last by the green. Today while I write on this last page, I am still thinking of the young woman. Today, however, I am sure the young woman is still alive. I am sure the young woman is still alive while I am dead. Today I am dead but the young woman remains alive in order to go on reading what I would never write.